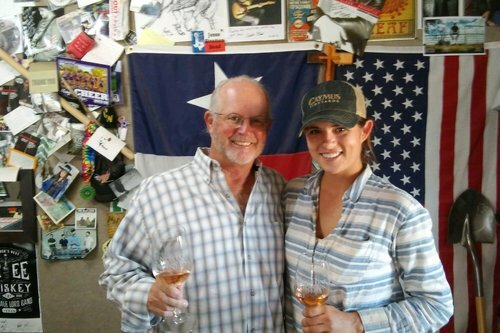 Bill Blackmon recently joined wine industry advocates and radio personalities Kathryn Cook, a full time viticulturist at, Tallent Vineyards, and Charley Jordan, a mainstay in Hill Country radio to discuss a concept that drives everything we do - terroir. At William Chris Vineyards we believe that the best wines are grown not made and the single most important thing influencing that is our understanding of terroir and what it means for wine growing. Simply put, in wine growing location matters which is why we'll always be a 100% Texas-grown winery. Bill Blackmon and Kathryn Cook enjoy a 2017 Malbec Rosé from our Hye Estate in-studio. Charley: Dan McLaughlin [of Robert Clay Vineyards] used the word a couple of times. He kept referring to terroir. What is a terroir? Charley: One of many things, a terroir expert. Bill: Terroir, you know, that’s all of what the vineyard is about. It's the soil, the atmosphere, the weather, how close vines are planted together. Charley: Even like the topography around it? Bill: Yes, and the topography. Kathryn: It's a word that I feel does not have a fixed definition. It can, I mean I have never found a fixed definition, technically, on it. It comes from 'Terroir" in French? Bill: Yeah, it’s in French, that’s what they use. When you really do think about it, you think of soil and where the grapes are from, but then it encompasses the whole circle; how the grapes are grown, where the grapes are grown. Kathryn: Okay, and so a little background on it. 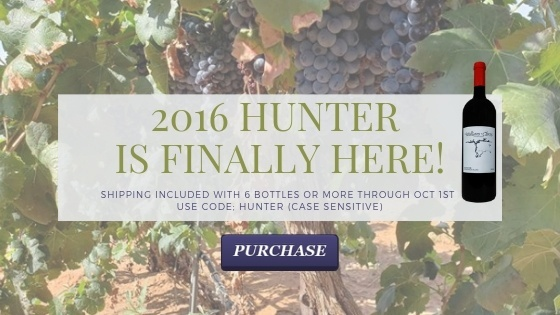 The ancient Greeks made this word because they recognized that the same varietal grown in different regions tasted differently, they had different characteristics, some were more favorable than others, and so the ones that were most favorable became an acclaimed region...That’s some history on the term “terroir” for you. Bill: That’s what we look at at William Chris. We are really involved with where the grapes come from. If you're drinking this wine, I want to know where the vineyard is. I want you to know the area, Mason Country or Hye or up in Brownfield or wherever we grow. When you go out and you drink a wine from California, you want to know what region it is the vineyard comes from. That’s what's important, wine’s sense of place. So, climate, the soil, the terrain, and I have seen some different opinions on tradition of wine making, history and tradition, and then we go onto the old world and new world kind of wines, and it varies. Some people put wine making practices inside of it, and in conversing in this, some others are saying it shouldn’t be it, it should just be about the... just the environmental factors. I accept both versions of it. Charley: True, true, I'd say it's so all encompassing and specific at the same time. Bill: Yeah, absolutely, and we're looking at wine technique. We're growers, we're farmers from the start. Been in farming, and farming grapes for years. Also, wine, we feel comes from vineyard. I mean its how its farmed, and so it's brought in, and if it's farmed right, that's what to like in wine. So, it is a terroir that's really influencing that wine. Charley: And self gathering, does that affect what varieties? The terroir, does that affect what varieties can grow there or will do better than others? Kathryn: And it makes a variety different. It will taste different. So, we have Tempranillo in section 1, we have Tempranillo in section 4, and they ripen differently, they taste different. Charley: That's why we are on this show! Kathryn: We all can go back to the farm. Kathryn: It is. I'm from the city and I went to the farm. Bill: And I'm from the farm and all my brothers and sisters went to the city. I'm the only one that stayed and lasted. So, it has been over the last forty years if we're just talking farming in general. You are right. Kathryn: So geographic influences and the surroundings like where we were raised and how we were raised as children has a part on our traits, habits, thoughts, personalities. It's always down deep kind of thing, and I feel like different varieties, like the soul... the terroir, it has that effect kind of the same way on different varieties. Charley: You can taste it. Bill: Oh yeah. It's wonderful.